Certified nursing assistant (CNA) jobs are among some of the fastest growing occupations within the United States and Canada. Due to the high demand, free CNA classes are becoming increasingly popular. These health care professionals are commonly employed in hospitals, nursing homes and rehabilitation units and encompass many different sectors of the medial field such as gerontology, medical surgical care and even mental health for example. There are some basic requirements to become a certified nursing assistant, regardless of the state that the individual resides in. This can include but is not limited to a clean criminal record, a high school diploma or GED and successful completion of any one of the number of approved CNA classes available. Only after this criteria has been met is the applicant eligible for certification which consists of an exam that covers both a written and skills portion. Certification will not be granted if the individual does not pass both the skills and written part of the examination. There are several different program types available. This can include in-house training programs provided by hospitals and nursing homes and those offered by post-secondary institutions such as community college or vocational schools. Other programs can include Red Cross CNA training and those offered by local high schools. As previously mentioned, there are also those that require no payment such as free local CNA training or low price alternatives. These payment options for training are also eligible for many of the vocational schools and community college programs as well. All free CNA training programs will embody two important aspects. This will include materials learned through text, either online or in-person and hands-on training. As with almost any other type of educational program, there are learning objectives which must be met by both the learning institution and the state licensing boards. Failure to meet these objectives will result in the loss of eligibility to set for certification examinations. Learning goals, objectives and outcomes should be clearly defined prior to beginning the course. The “book” portion of learning consists of several different aspects of client care and pertaining elements. Basics of anatomy and physiology, nutrition, and elimination, caring for diverse populations and scope of practice are some of the broader concepts. The scope of practice describes what the CNA is and is not allowed to do under his or her state practice guidelines and covers many legal aspects of the profession. Other important components may consist of time management, conflict resolution and professionalism. The hands-on portion of any basic free nursing assistant course provides generally the same framework regardless of the chosen school. Skills commonly covered include bed making, range-of-motion exercises, transferring of clients and other activities of daily living that the CNA may assist or completely provide. This also pertains to bathing, toileting and feeding. An integral part of this learning is demonstration of the ability to accurately obtain and record vital signs; which is the temperature, pulse, respiration and blood pressure. By the end of the curriculum, the student is expected to have master all of these concepts and possess the ability to apply them to the clinical setting. The duration of free CNA training can vary considerably from one learning institution or nursing assistant curriculum to the next but is still considered a short-term program. There are guidelines set forth by each individual state that mandates the number of clinical or hands-on hours that must be completed. In some cases, these hours can be completed within a matter of days and may only consist of sixteen to thirty-six hours. Once again, this will vary on the individual training program and the state licensing. Contrary to popular belief, free classes for CNAs are actually widely available for those that qualify. There are several programs that will allow an individual to obtain the necessary education to become certified without any type of payment or even a contract of employment. Many times, one does not even have to search far to find free CNA classes either. With the free training program types available, the student can often choose where to obtain these courses and select the best learning mode to suit their individual needs and qualification is not necessarily a daunting process. Several free CNA programs can be found right within the community. Even if the student chooses an online program, clinical hours are most typically completed at local establishments such as hospitals and nursing homes that are close-by. It is not the individual program, but rather how the training can be obtained for free as several schools participate in low price or free courses. An employer can also be a good source of information since some will reimburse the employee for the training. Therefore, it is possible to attend the school of choice and get the training necessary for certification at no cost to the student whatsoever. Getting the funding is not as difficult as it may sound and there are several different options which may be available. Training may be made free through government sponsored scholarship programs, employer sponsored training and free in-house training may also be available at hospitals, nursing homes and rehabilitation centers. Other resources can include dislocated workers programs and grants for those that meet special criteria that may pertain to income and public assistance. However, this is not to say that free CNA classes are limited to those with financial hardship. Several applicants may actually qualify for grants, scholarships and other reduced cost training programs available. I am very interested in a CNA course. I have had my CNA license and want to obtain a license again. What should I do? Hi Lornia, thank you for visiting our website! It is great that you want to obtain CNA certification again. 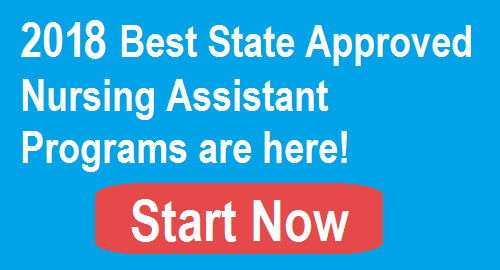 Because different states have different rules, please visit CNA Certification Requirements page and choose the right state you want to get certified to learn more. If you have any questions, please contact us. Good luck!